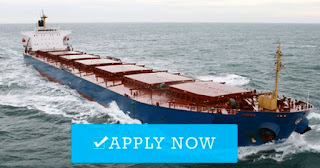 SEAMAN JOB INFO - TSM Shipping Phils, Inc. Available hiring jobs for Electrician hardworking and passionate Filipino seafarers deployment November 2018 on bulk carrier vessel. 1753 TSM Building, (3rd Flr. ), Dian Street, Barangay Palanan, Makati City. 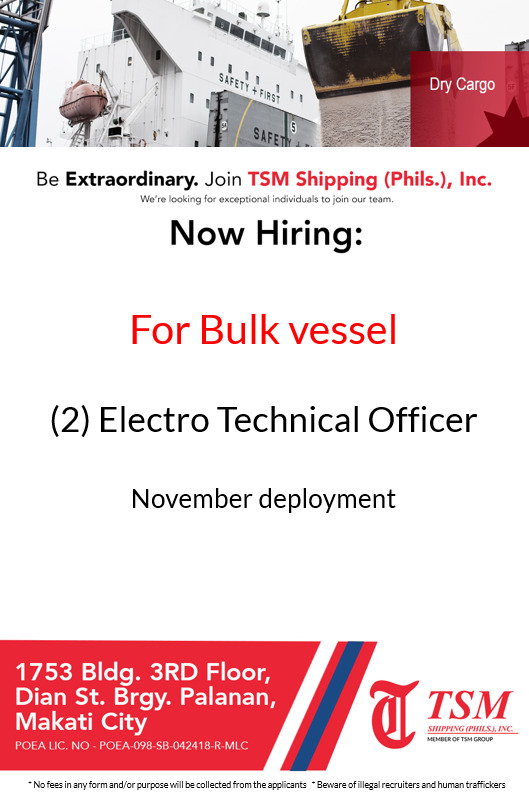 Interested applicants may also send their resume to tsmrecruitment@tsmphil.com.ph or reach us through Tel. Nos. (02) 860 75 29 /860 75 59. 0 Response to "Electro Technical Officer (2x) For Bulk Carrier Vessels"